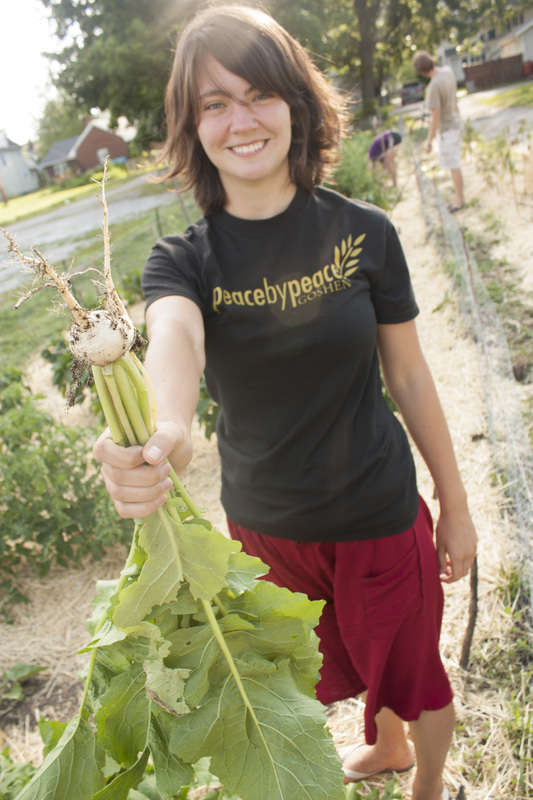 A gift from the Goshen College class of 2013 has blossomed into a community project. Trackside Community Garden, named for the proximity of the railroad tracks that run alongside it, was established in Goshen this summer with funds from the 2013 graduating class gift. The garden is located on Ninth Street between College and Waverly avenues. Carina Zehr, a senior environmental science and sociology double major, helped organize the new Trackside Community Garden planted by Goshen College students and community members in June. In spring 2013, the land was tilled using part of the funds generated by the senior class gift. Starting in June, Carina Zehr, a senior, helped gather a group of interested Goshen College students, alumni and other community members to begin the garden. “The past few months have been a process of figuring out how we want this garden to look,” Zehr said. The garden currently has two plots that are reserved for specific community members who live nearby. The remainder of the space is a communal plot that volunteers have planted with a variety of vegetables, fruits, herbs and flowers, including basil, bell peppers, chard, eggplant, ground cherries, lettuce, marigolds, mint, oregano, parsley, potatoes, raspberries, rhubarb, squash, sunflowers, tomatoes, turnips, watermelon and zucchini. Nearly all of these were transplants or seeds that were donated by local farms and community members. Those involved built a low chicken-wire fence to enclose the area and used compost to enrich the soil. They also spread straw around the plants in order to cut back on weeds, help retain moisture and put organic matter into the ground. In addition, many stop by regularly to water the plants and pull weeds. 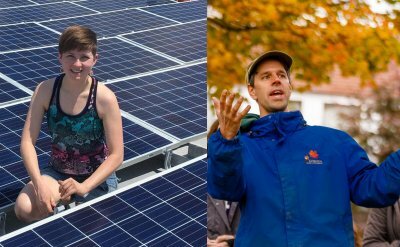 One of Zehr’s aims for the future is to increase the sustainability of the garden by relying on water collected in rain barrels, which she hopes can be installed on the college-owned house adjacent to the garden. 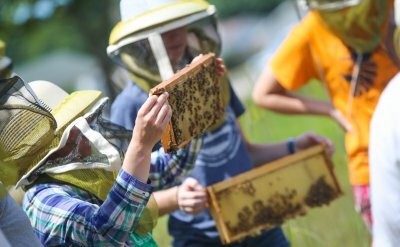 “We want to be as healthy for the environment as possibly, which means not wasting water and not using herbicides or pesticides,” she said. The gardeners also hope that, during the next year, they can develop a structure that will enable volunteers to help with garden maintenance in an organized way. The preference of those involved in the future will determine whether more plots are allocated for specific community members or whether much of the garden remains communal, as it is now, with anyone who helps free to take the produce that grows there. 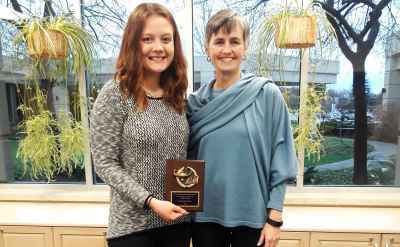 “A big part of viability for the future is having both students and community members involved because students come and go, but community members will remain here,” Zehr said. Overall, volunteers hope that interest in and excitement about the garden will continue to increase in upcoming years. 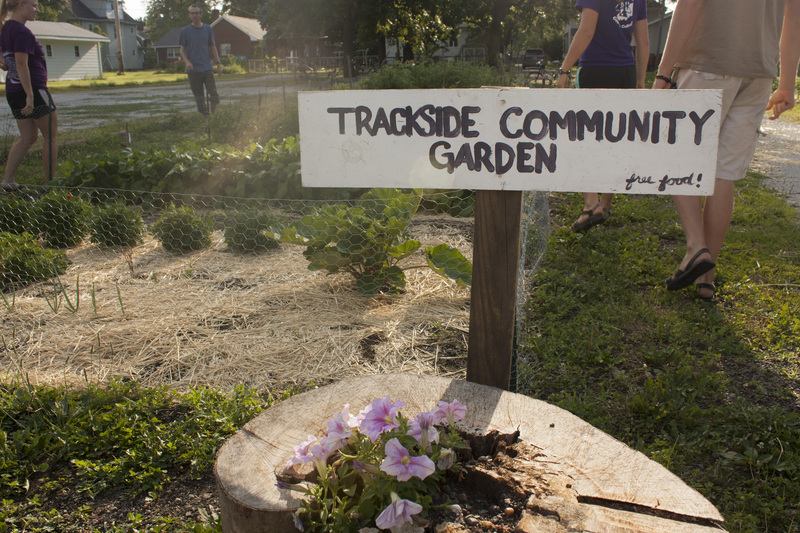 The organizers of Trackside Community Garden welcome anyone who would like to be involved. Community work hours take place in the evening. Questions can be directed to info@goshen.edu.